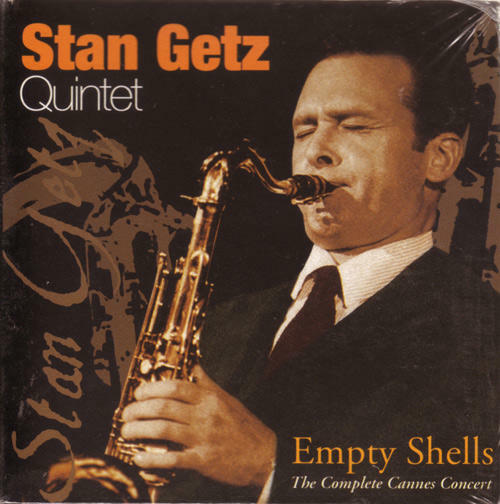 Recorded in 1980 in Cannes, this live recording is one of the rare testimonies left behind by this particular Stan Getz line-up, featuring the excellent Chuck Loeballa (guitar), Andy La Verne (piano), Victor Jones (drums) and Brian Bromberg. The mix of acoustic and electric instruments found here predates the fusion phenomenon that would soon explode in jazz. This CD features a mix of Loeb and La Verne originals and jazz standards like "Autumn Leaves" (showcase for all soloists) and W. Shorter's "Lady Day," the sweet ballad dedicated to Billie Holiday. Grand finale on the blues notes of Charlie Parker in "Billie's Bounce," which features numerous guests like Paul Horn on flute and Sugar Blue on blues harmonica.